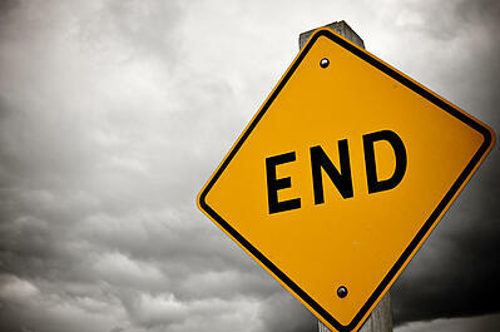 The tech industry has been a buzz lately about the end of life for Windows Server 2003. July 14, 2015 is the day that Microsoft will no longer support Windows Server 2003. This happens just over a year after Windows stopped supporting one of its longest running operating systems, Windows XP back in April, 2014. Is this a coincidence? Absolutely! One of the reasons Windows Server 2003 became so popular among businesses was that it was modeled after Windows XP with an incredibly simple and user-designed interface. It was only a matter of time before Microsoft gave Windows Server 2003 the axe. Launched in April of 2003, the server operating system has had twelve fantastic years on the market. But now it has come time to say goodbye. There are multiple reports out there that claim there are somewhere between 5 and 15 million servers still running Windows 2003. While the exact number isn’t known, we do know (thanks to a report from IDC) that 73% of all servers in the WORLD are running a Windows operating system. With such a strong market share, it is safe to say that there are still thousands, if not millions of servers out there that are still operating on Windows Server 2003, even though support for the system will end in just a matter of weeks. This is not recommended, and Microsoft itself doesn’t feature this as an option on any of its Windows Server 2003 resources. While Windows Server 2008 was the next upgrade from 2003, it isn’t the most recent release, and will most likely experience an end of life in the near future. Windows Server 2012 R2 is the most recent release of the Windows server operating system. If your company is used to operating in a Windows Server environment; this might be the best option for you. Be aware though, that if you are currently running Windows Server 2003, it is likely that your hardware will not run Windows Server 2012 at optimal levels (if at all) so this migration will require a significant investment in physical hardware. Or you could move to the cloud! Azure is Microsoft’s cloud platform that houses a collection of integrated services. It is hybrid capable for both on-site and off-site data and processing needs. However, switching to Azure does mean getting used to an entirely new system, which may increase adoption time and require additional training for internal staff. Microsoft Office 365 has an array of features to help make the move from a physical Windows Server environment to the cloud. Business productivity apps are hosted in the cloud, and accessible via an internet connection. Microsoft Exchange online provides business email with enterprise level security in the cloud, but with a familiar interface. Additionally, Skype for Business provides collaboration among teams and SharePoint online is a one stop shop for enterprise content management, web content management, business intelligence, enterprise search, and document management. Transitioning to a cloud environment via Microsoft Office 365 is scalable; you only pay for as many users as needed. Plus it offsets costs of having to invest in physical hardware (along with maintenance and monitoring costs) as data storage, computing, and processing is all done in the cloud, on Microsoft’s enterprise level data centers. If you are in need of assistance of migrating out of Windows Server 2003, Privo IT is here to help! Contact us today to speak with one of our IT consultants who will guide you through the entire process.